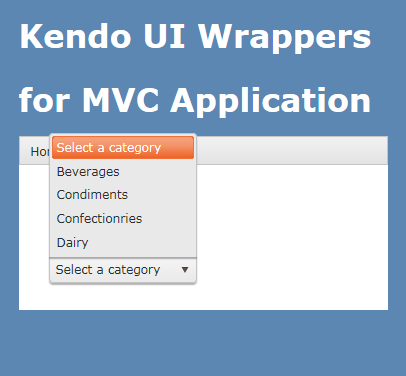 This is the sixth post in the series on Kendo UI wrappers for ASP.NET MVC. We will look at one more wrapper in this post namely DropDownList. 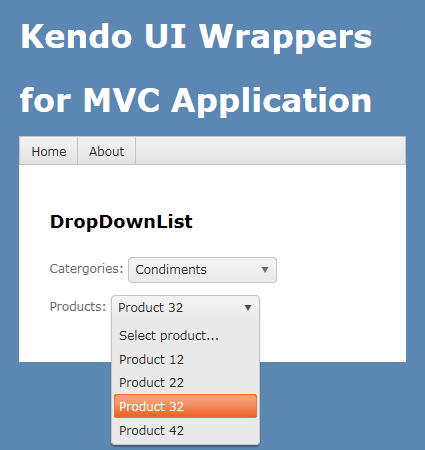 This post is part of a getting started with Kendo UI wrappers for ASP.NET MVC and you can find the index post here. First lets understand what is a DropDownList control. A DropDownList displays a list of values and allows the selection of a single value from the list. Custom values are not allowed i.e. user cannot type in a custom value rather he can only select from the list. The Name is a required setting on the control. Without that setting we will get error, so provide a unique name every time you instantiate the drop down list control. The data binding options available for drop down list wrapper are Server binding and Ajax binding. We will look at them one by one. Notice the use of OptionsLabel() method. This lets you add a empty item before any of the data items from the model. So this is like a placeholder or a cue to the user as to what he needs to do. 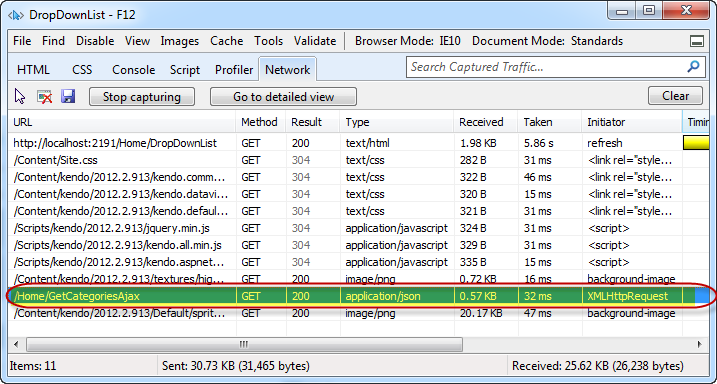 Instead of using the BindTo() method, we make use of DataSource() method. Within the datasource method we set the read action i.e. what is the action on a controller which will provide us the Json data. With this setting we are not binding the data at the server side, rather the data is bound on the client side. So we saw how we can use either the server side data binding or client side data binding through AJAX. Depending on your scenario you can take any of the approaches. The template is self explanatory. We have image tag whose source is set to an image url formed by using the text of the item itself and then we are showing the text as is. 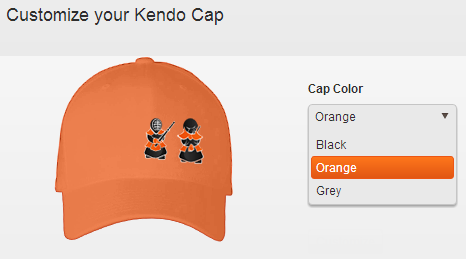 This is a simple template, but the power of template allows you to customize the UI to your needs. I am just building a static list of products for the demo purpose. In this post we looked at one more commonly used controls – DropDownList. With the ASP.NET wrappers we saw how easy it is to instantiate a control, perform server side or ajax data binding and then how to work with the client side API. Hope you find this useful. Do give it a try i.e. 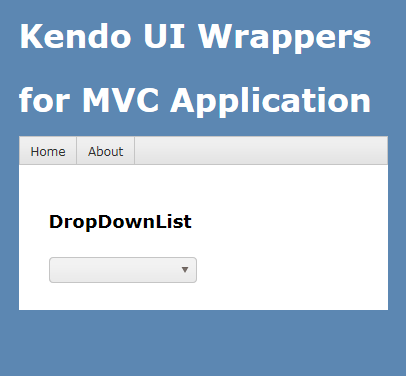 download Kendo Complete and get started with Kendo Wrappers for ASP.NET MVC. A very clear and concise article. Thank you!